Madrid: Gareth Bale believes he can still win over the Real Madrid faithful after silencing his critics with a sensational solo goal to seal a vital 3-1 win at Real Sociedad on Sunday. Bale had been jeered by his own fans in Madrid's 3-0 Champions League win over APOEL Nicosia in midweek for an underwhelming start to the season, particularly in Cristiano Ronaldo's absence due to a five-game ban. The Welshman failed to find the net as Real dropped points at home to Valencia and Levante to allow Barcelona to open up a four-point lead at the top of La Liga. But Bale helped Madrid get back to winning ways in impressive style by ending Sociedad's own 100 percent start to the season. "It's normal, it happens in football," Bale told Spanish TV station Movistar of the criticism that has come his way. "For me obviously I just have to try to keep my head down and keep working hard. That's all I can do." "I can't control what goes on, I can only control how hard I work on the pitch." "You go through ups and downs in your career, but it is how you bounce back." 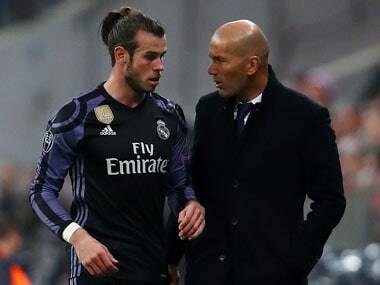 Madrid boss Zinedine Zidane believes Bale's strike can be a turning point in his season. Bale used his electric pace to burst past Kevin Rodrigues before dinking the ball over the advancing Geronimo Rulli. "He needed to score a goal and in this manner. After a run of 60 metres, technically he finished it very well," said Zidane. However, the Frenchman insisted the man, who joined Madrid for a then world record fee in 2013, can still do much more to impress. "I am happy for him, but for me he is still not at his best. Little-by-little we are going to discover the best of Gareth." "Today he played great, but I know he can do much more. We need to be patient." Despite his struggles of late, Bale has always shone at Anoeta as he added to his impressive record of six goals in five games in San Sebastian. "It's great to always score, but the most important thing was to get the three points for the team, get back on track and get back to winning ways," added Bale. 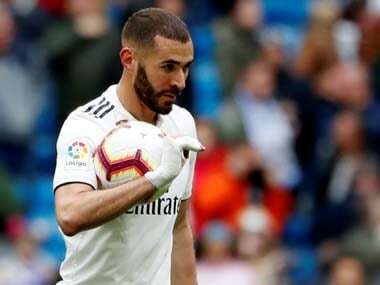 Victory lifted Real up to fourth and ensured the remain just four points adrift of Barca, who had temporarily extended their lead to seven with victory at Getafe on Saturday. 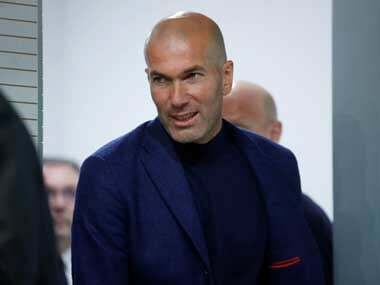 "Today the most important thing was to win because when you look at the table and see Madrid so low down it is strange," said Zidane. "Now we are back on form, but we need to continue because we have another game on Wednesday."